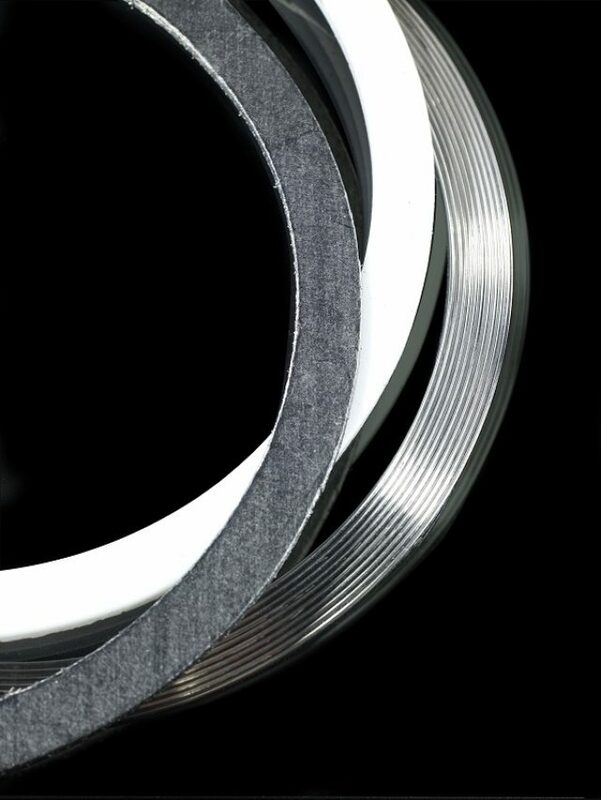 The gaskets camprofile TG-CP It consists of a metal core with concentric grooves (sawtooth) covered by a layer of soft material depending on the application may be PTFE, graphite. 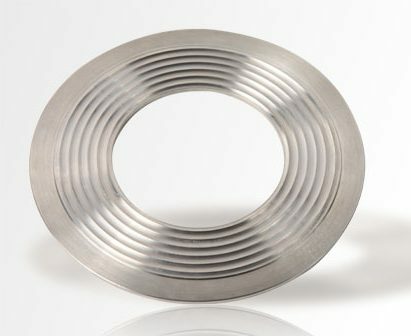 The toothed metal profile of the camprofile gasket allows you to use the board under high pressure crushing low torque. Meetings are the ideal solution for standard applications for pipes and heat exchanger option; provide the highest levels of integrity sealing. Corrugated metal core flat surface without cantering ring (for male / female flange). Corrugated metal core with convex surface without cantering ring. Corrugated metal core with convex surface and integrated cantering ring. Corrugated metal core with convex surface and mobile cantering ring. Alma flat metal surface coating material (PTFE or Graphite). • It can seal pressure up to 400 bar. • It can withstand temperatures up to 1000ºC – depending on the used materials of the core and layer. • It can be used in all media (pH 0-14), will depend on the core materials and coating used. • It can maintain effective sealing performance in temperature and variable pressure. • Does not damage the flange surfaces and can be easily removed. • The toothed metal core can be reused, subject to inspection after cleaning and replacement of the layers.